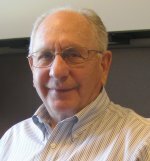 Congratulations to radiation biologist Dr. Antone "Tony" Brooks, a consultant to the Pacific Northwest National Laboratory's Low Dose Radiation Research Program, on his selection to give the 36th Lauriston S. Taylor Lecture at the Annual Meeting of the National Council on Radiation Protection and Measurements (NCRP). His lecture, titled "From the Field to the Laboratory and Back: The What Ifs, Wows, and Who Cares of Radiation Biology," will be a featured presentation at the meeting, which will be held March 12 and 13, 2012, at the Hyatt Regency Bethesda, Bethesda, Maryland. The lecture series honors researchers that have made significant contributions to the field of radiation biology. It was established in honor of the founder of the NCRP, the late Dr. Lauriston S. Taylor, a radiation physicist and pioneer in the field of radiation safety whose work led to the first U.S. standard for X-ray exposure. Brooks has devoted his 45-year career to the study of radiation exposure and risks with special emphasis on the cytogenetic and carcinogenic effects of internally deposited radioactive materials. He was a long-time member of the NCRP and served on the board of directors. He is former chief scientist of the U.S. Department of Energy's Low Dose Radiation Research Program and professor emeritus of radiation toxicology at Washington State University-Tri-Cities. He received bachelor's and master's degrees in experimental biology and radiation ecology, respectively, from the University of Utah and a PhD in physical biology from Cornell University. Brooks is currently retired, is a member of the Hanford advisory board, and is also an independent consultant for the Electric Power Research Institute on low-level radiation effects.